Nearly 30,000 orphans received health insurance contracts to cover the treatment of 12 critical illnesses on Monday. "It's our best new year gift for the children and I hope more people can join in our efforts to help them," said Dr. Heidi Hu, managing director of the China Children Insurance Foundation (CCIF). Orphans from the provinces of Fujian, Liaoning and Hainan, as well as Tibet and Ningxia Hui autonomous regions, are benefiting from the expansion of a joint insurance program sponsored by the Chinese Ministry of Civil Affairs (MCA) and the CCIF. The insurance, paid for with donations, will be accessible for one year starting from Jan. 1, 2013. It is designed to benefit children of poor families and MCA-registered orphans under the age of 18. 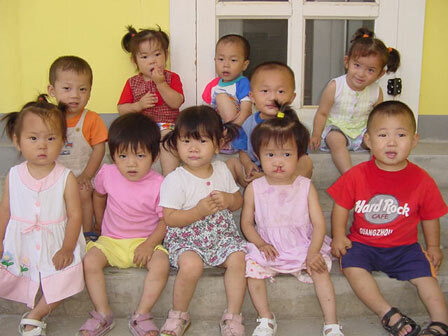 Each child is insured for 100,000 yuan (16,091 U.S. dollars) at a premium of 50 yuan a year. The 12 major illnesses covered by the insurance program include malignant tumors, illnesses requiring organ or stem cell transplants, acute kidney failure, aplastic anemia, acute hepatitis and infantile paralysis. Since the insurance program was launched in July 2009, the CCIF has distributed nearly 650,000 insurance contracts to children in 20 provinces and regions, from the quake-hit southwestern province of Sichuan to the plateau areas of Qinghai and Tibet. "It's the third year we have been able to offer such insurance to orphans in Tibet, Fujian, Liaoning and Ningxia. For those in Hainan, it's the second year," Hu said. Hu said the organization received more small-scale donations this year, mainly through the Internet. Previous years' donations were mainly made by large enterprises. "We will continue to work with civil departments across the country to search for possible insurants and renew our beneficiary list every year. Our current goal is to help all 712,000 registered orphans in China," Hu said. To guarantee transparency in the insurance program's operation and management, the doctor said all donation-related information can be checked and verified online at baoxian.cctf.org.cn, a website hosted by the China Children and Teenagers' Fund, the parent foundation of the CCIF.